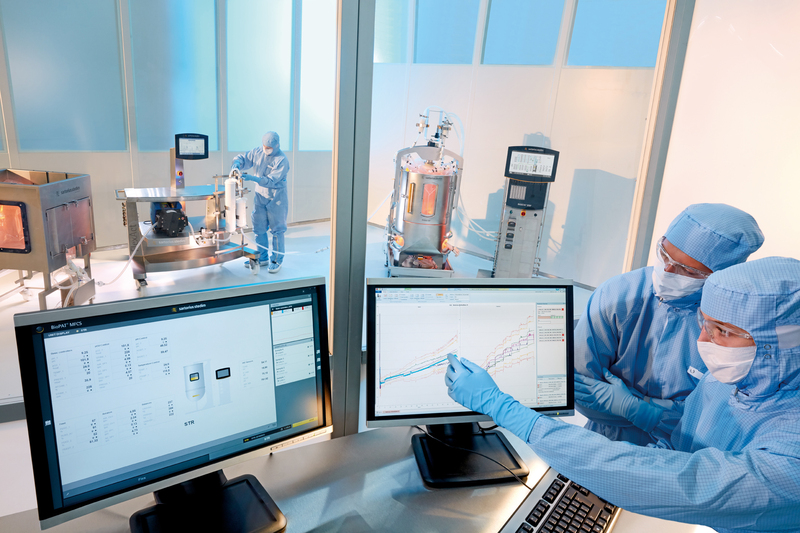 Sartorius Stedim Biotech (SSB), a leading international supplier for the biopharmaceutical industry, has developed an innovative and fully integrated technology platform to meet the requirements of today’s upstream bioprocessing. It will allow customers to adopt a Quality by Design (QbD) approach in which they build quality into their biological products by combining the power of highthroughput mini bioreactors with data analysis and knowledge management tools so that robust and well-characterized processes can be scaled up at the first attempt. The ICH Q8(R2) Guidelines define Quality by Design as a systematic approach to development that begins with predefined objectives and emphasizes product and process understanding and process control, based on sound science and quality risk management. The approach is borne out of the US Food and Drug Administration’s attempt to encourage the pharmaceutical industry to innovate as highlighted in their 2002 initiative “Pharmaceutical cGMPs for the 21st Century: A Risk-Based Approach.” Despite considerable interest, full QbD adoption by the biopharmaceutical industry has yet to occur. SSB is supporting the mainstream adoption of QbD principles by the biopharmaceutical industry as part of its Connect Upstream campaign that brings together the ambr® 250 high throughput or ambr® 250 modular systems for defining cell culture design spaces at the laboratory-scale with the MFCS SCADA system for data analysis and knowledge management. The new ambr® 250 modular is an innovative high-performance benchtop bioreactor system for parallel fermentation or cell cultivation. Central to the system is a new 100–250 mL single-use vessel design, fully integrated with liquid reservoirs and syringe pumps. The MFCS SCADA system is a feature-rich, GAMP category 4 software package – based on over 25 years of experience and 3,000 installations worldwide. The integrated MODDE DoE for design of experiments (DoE) and SIMCA software for multivariate data analysis (MVDA) enables the fast and straightforward implementation of a QbD approach to drug development. The S88 tool enables easy and safe recipe transfer across scales. The company’s new scale conversion tool will help to minimize any risk that large-scale processes performed in BIOSTAT STR® single-use bioreactors do not generate the required critical quality attributes. The BIOSTAT STR® family is a range of completely single-use bioreactors with a conventional stirred-tank design that is ideal for high-density cell culture applications. The range has true scalability from process development through pilot to production scales, minimizing both the effort associated with scaling up cell culture processes and the risk of process transfer even to larger-scale bioreactors. Furthermore, monitoring and analysis of critical process parameter during upstream processing are possible with the company’s PAT toolbox of sensors, controls tools and MVDA software.